Munich - Borussia Dortmund may not be in the ideal position to defend their Bundesliga title at present, but there are ominous signs the Yellow-Black beast, which lay semi-dormant for much of the first half of the season, is now beginning to flex its muscles. Jürgen Klopp's troops are currently twelve points behind leaders FC Bayern Munich after drawing six and losing three matches prior to the winter break. However, in their two outings this year, BVB have picked up maximum points and scored eight goals without reply. It was a similar story last season, with Dortmund trailing Bayern going into the latter half of the campaign, only to win 15 and draw two of their league matches and storm to the title with a record-breaking 81 points. "It's down to experience," said midfielder after a largely second-string BVB side lost a friendly against Bundesliga 2 outfit 1. FC Köln 1-0 on Monday evening. "The longer you play football the easier it is to reach the next step." Indeed, Klopp was upbeat despite the defeat. "I saw a lot of good things and a couple of not so good things," said the 45-year-old. "I wanted stability and we had that, apart from one moment [which led to Köln's goal]. It was a typical game: the opposition sat back and we had to be creative." 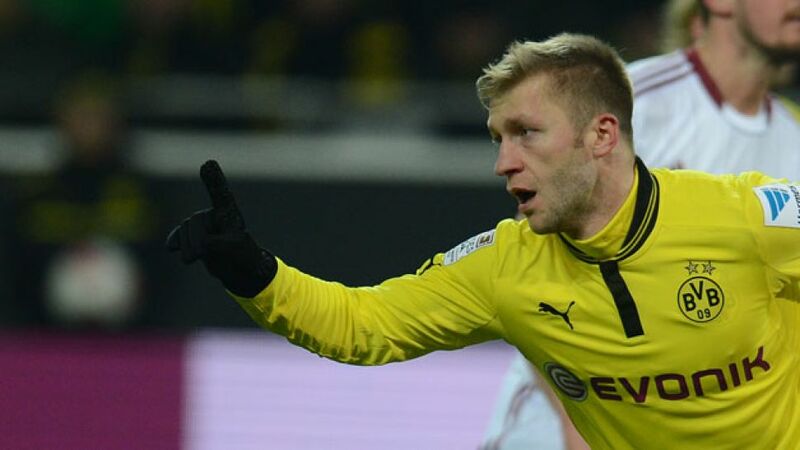 Blaszczykowski missed Dortmund's best opportunity of the match, dragging an 83rd-minute penalty wide. Klopp was keen to emphasise that "it was important for one or two players to get match practice so that we're prepared for our busy schedule". Recently-returned local hero Nuri Sahin was the chief beneficiary, playing the full 90 minutes and hitting the post early in the first half. First-team regulars , , and Ilkay Gündogan all had a 30-minute run-out, with Blaszczykowski playing all but 25 minutes. While the 58-time Poand international admitted the friendly "was a poor game", he firmly believes both he and BVB are on the right track. "It's just like what happened last year. We're gradually finding our rhythm again and it's thanks to our preparations," said the 27-year-old, who has scored eight and provided five assists this term. "But it's not just me who's in good form, the whole team is." That is a clear warning for Sunday's opponents Bayer 04 Leverkusen, who sit one place and one point above Dortmund in the standings. "They're a tough team," added Blaszczykowski, "but we know we have quality and potential. It's great that we have so many good players." Earlier this term Leverkusen were ruthlessly dispatched 3-0 from the Signal Iduna Park and even more worrying for and Co. is that their visitors have been stronger on the road than at home this term, earning 19 of their 36 points on their travels. If Dortmund can win a third successive league game this year and continue to build up a head of steam, they are more than capable of providing Bayern with a fight right down to the wire.